Gojira in Montreal or Quebec City? Inform me about the next events for Gojira. Enroll yourself to our priority waiting list for Gojira to be alerted when new tickets are available. Filling this form doesn't engage you to any purchase. 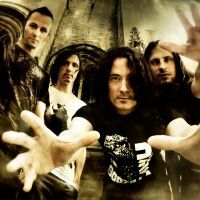 French metal band Gojira will be back in Montreal on October 21, 2016. Gojira will be performing at the Montreal Metropolis. They're also set to be the opening act for German heavy metal powerhouse Rammstein when they come to Festival d'été de Québec on July 17.